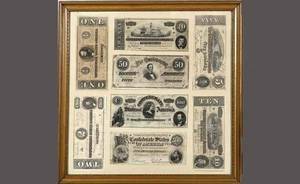 Aubusson needlework carpet, 20th c.
Group of framed confederate paper currency. 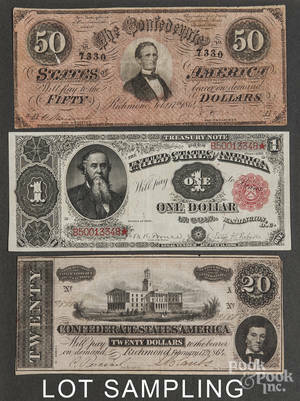 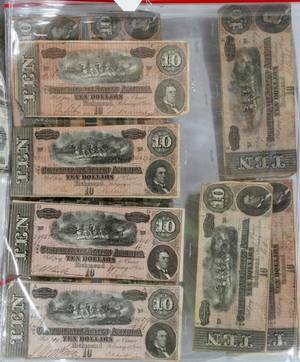 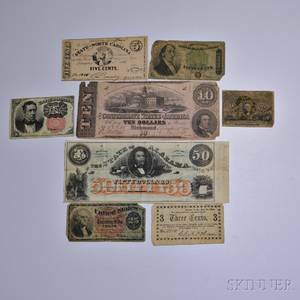 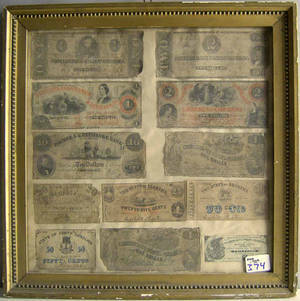 Archived auctions similar to Group of framed confederate paper currency. 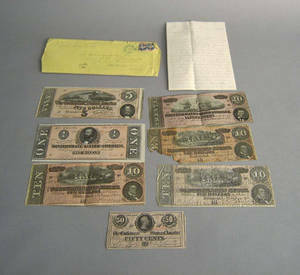 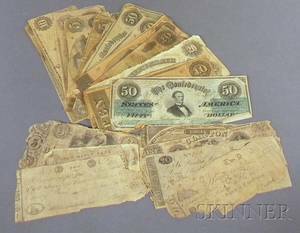 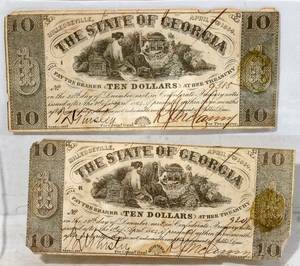 Confederate paper currency and colonial indented bills.